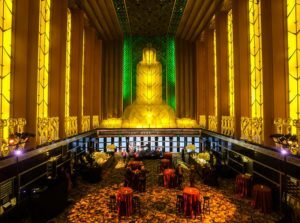 As one of the top event planning companies in San Francisco, Hunter Events puts experience and skill to the test to search and select the finest venues around the world — appropriate to the Client’s unique and specific needs. The Paramount Theatre, built in 1931, is a splendid representation of ornate, rococo and ornamental Art Deco style. The character of the building completely embodied the theme of the Corporate Anniversary Event and no other venue could have provided such ambiance. 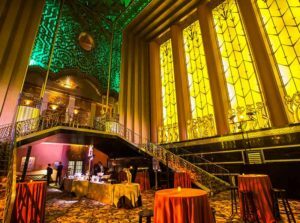 Located just a few miles from the Client’s World Headquarters, the Paramount Theatre, stands as one of the finest remaining examples of Art Deco design in the United States and is now a National Historic Landmark. Guests also enjoyed an array of hors d’oeuvres, a delicious buffet of menu items and a selection of fine cocktails throughout the evening.